A spinal tumor is a growth that develops within your spinal canal or within the bones of your spine. A spinal cord tumor, also called an intradural tumor, is a spinal tumor that that begins within the spinal cord or the covering of the spinal cord (dura). A tumor that affects the bones of the spine (vertebrae) is called a vertebral tumor. Spinal cord tumors may be classified as one of three different types depending on where they occur relative to the protective membranes of the spinal cord. Tumors from other parts of the body can spread (metastasize) to the vertebrae, the supporting network around the spinal cord or, in rare cases, the spinal cord itself. Spinal tumors or growths of any kind can lead to pain, neurological problems and sometimes paralysis. A spinal tumor can be life-threatening and cause permanent disability. Treatment for a spinal tumor may include surgery, radiation therapy, chemotherapy or other medications. Extramedullary tumors grow in either the membrane surrounding the spinal cord or the nerve roots that reach out from the spinal cord. Although they don’t begin within the spinal cord itself, these types of tumors may affect spinal cord function by causing spinal cord compression and other problems. Examples of extramedullary tumors that can affect the spinal cord include meningiomas, neurofibromas, schwannomas and nerve sheath tumors. Spinal magnetic resonance imaging (MRI). MRI uses a powerful magnetic field and radio waves to produce accurate images of your spine, spinal cord and nerves. MRI is usually the preferred test to diagnose tumors of the spinal cord and surrounding tissues. A contrast agent that helps highlight certain tissues and structures may be injected into a vein in your hand or forearm during the test. Some people may feel claustrophobic inside the MRI scanner or find the loud thumping sound it makes disturbing. But you’re usually given earplugs to help with the noise, and some scanners are equipped with televisions or headphones. If you’re very anxious, ask about a mild sedative to help calm you. In certain situations, a general anesthetic may be necessary. Computerized tomography (CT). This test uses a narrow beam of radiation to produce detailed images of your spine. Sometimes it’s combined with an injected contrast dye to make abnormal changes in the spinal canal or spinal cord easier to see. A CT scan is only rarely used to help diagnose spinal tumors. Surgery. This is often the treatment of choice for tumors that can be removed with an acceptable risk of spinal cord or nerve injury damage. Newer techniques and instruments allow neurosurgeons to reach tumors that were once considered inaccessible. The high-powered microscopes used in microsurgery make it easier to distinguish tumor from healthy tissue. Doctors also can monitor the function of the spinal cord and other important nerves during surgery, thus minimizing the chance of injuring them. In some instances, very high-frequency sound waves might be used during surgery to break up tumors and remove the fragments. Recovery from spinal surgery may take weeks or longer, depending on the procedure. You may experience a temporary loss of sensation or other complications, including bleeding and damage to nerve tissue. Radiation therapy. This may be used to eliminate the remnants of tumors that remain after surgery, to treat inoperable tumors or to treat those tumors where surgery is too risky. Medications may help ease some of the side effects of radiation, such as nausea and vomiting. Sometimes, your radiation therapy regimen may be adjusted to help minimize the amount of healthy tissue that’s damaged and to make the treatment more effective. Modifications may range from simply changing the dosage of radiation to using sophisticated techniques such as 3-D conformal radiation therapy. Other drugs. Because surgery and radiation therapy as well as tumors themselves can cause inflammation inside the spinal cord, doctors sometimes prescribe corticosteroids to reduce the swelling, either after surgery or during radiation treatments. Although corticosteroids reduce inflammation, they are usually used only for short periods to avoid serious side effects such as muscle weakness, osteoporosis, high blood pressure, diabetes and an increased susceptibility to infection. 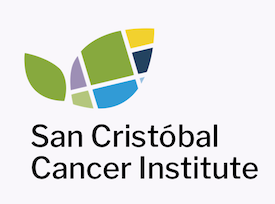 If you’d like to learn more about Spinal Tumors through our San Cristóbal Education Resources, attend our events or learn about our Cancer Center, please contact us.